Flying &apos;Old Glory&apos; from your transom can be a complicated proposition. 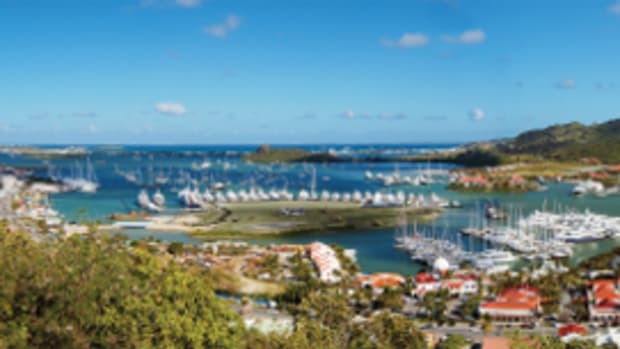 Editor-at-Large Dudley Dawson, a veteran naval architect and former U.S. Coast Guard officer, reflects on 40 years of progress—or lack thereof—in flagging options for American yacht owners. Hoisting stripes at the stern can leave you seeing stars. I don’t know a single American yacht owner who wouldn’t like to have “Old Glory” flying over the transom as his or her flag of choice. But for larger yachts—generally those over 300 gross tons—a flag of convenience is almost always the easier choice. The reason lies buried in the Code of Federal Regulations, as administered by the U.S. Coast Guard. I first encountered these regulations about 40 years ago as a junior officer in what was then called the Office of Merchant Marine Safety at USCG Headquarters. We had to review all the vessels that didn’t fit in a standard category, the ones that took extra time and special effort to get approved and flagged. We got hydrofoils and hovercraft. We got passenger submarines and floating nuclear power plants. We even got the Hughes mining barge, the once-secret vessel that helped recover parts of a sunken Soviet submarine as part of the CIA’s Project Azorian. The one thing we never got was a big American yacht, because it was considered impossible for such a yacht to meet the code requirements, particularly in the areas of watertight subdivision and fireproof construction. We took another look. The USCG route was still out, but the Washington attorney worked in a firm that had political connections, so under his supervision, I wrote a short bit of proposed legislation and he found a path to having it passed into law as a private bill. Literally, it took an Act of Congress to put the American flag on M/Y Limitless, still the largest yacht to fly the “Stars and Stripes.” There are now a few other sizable yachts that also fly “Old Glory,” and to the best of my knowledge, all but one of them followed our route through Capitol Hill. The one that didn’t is an interesting story. Another 20 years on, into the present decade, another owner’s call went to Drew Hains, vice president of engineering at Murray & Associates in Fort Lauderdale. 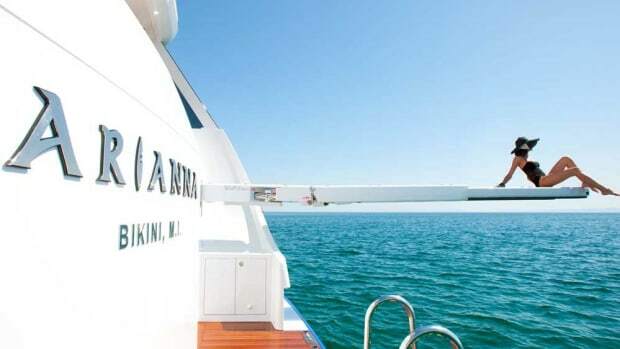 The owner had acquired a 46-meter (151-foot) Northern Marine yacht and, having proudly renamed her Freedom, wanted a flag to suit that sentiment. Hains’ independent research familiarized him with the route we had taken with Limitless, but, being a Webb Institute-trained naval architect like myself, Hains was burdened with thinking like an engineer. Thus, he too contacted the same USCG office in Washington where I once worked, and where my later inquiries had proven fruitless. That office had been renamed the Commercial Vessel Compliance Division, and the name was not all that had changed. 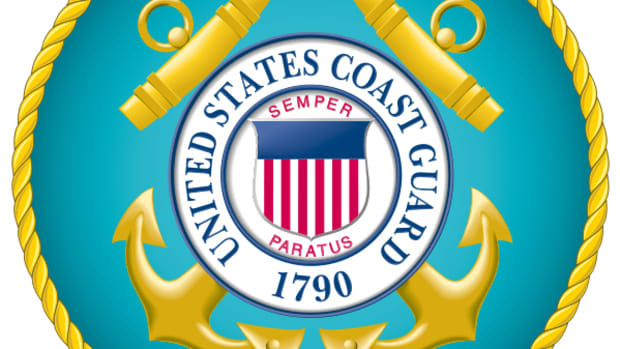 Someone once remarked that the Coast Guard changes its personnel as often as most people change their socks, a fact that worked to Hains’ advantage. 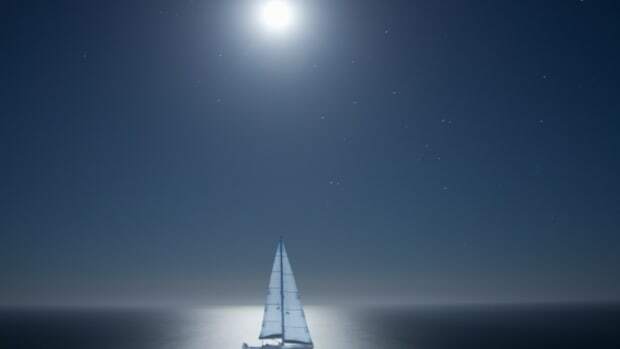 He said the USCG still “largely doesn’t understand yachts,” but he found people who were at least willing to listen, learn to understand yachts a bit better and consider something new—including two critical pieces that weren’t in place when Limitless was built. Congress in 1993 had passed the Passenger Vessel Safety Act to redefine, with significant input from the charter yacht industry, precisely what is and isn’t legally a “passenger” as far as federal regulations are concerned. The second new stepping stone for Hains was the development and implementation in the United Kingdom of the MCA LY2 Code for the design, construction and operation of large charter yachts under its purview. 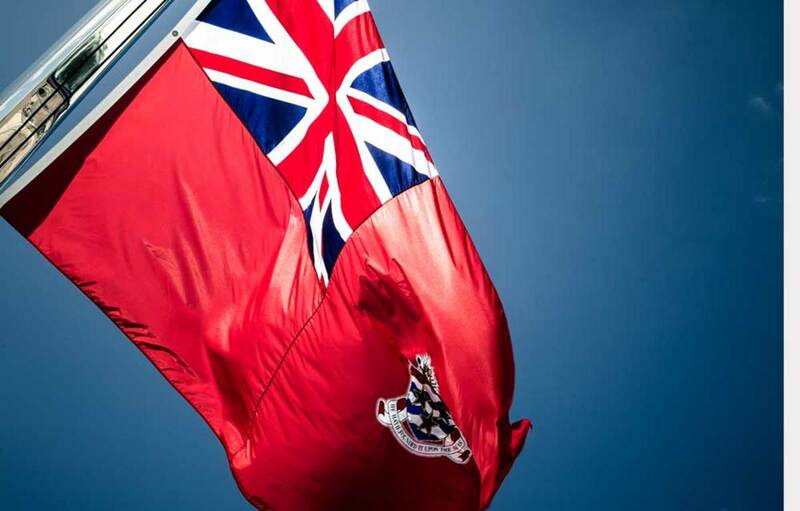 What does a U.K. standard have to do with U.S. flagging? Well, within America’s federal regulations is an “equivalent standard” provision that allows one to use an alternate set of established rules if they can be proven equal in safety. Often, ship designs that are in compliance with American Bureau of Shipping (ABS) or other recognized classification society rules are accepted by the USCG without further review. Similarly, the USCG may consider small passenger vessels compliant if they meet the standards of the American Boat & Yacht Council (ABYC). 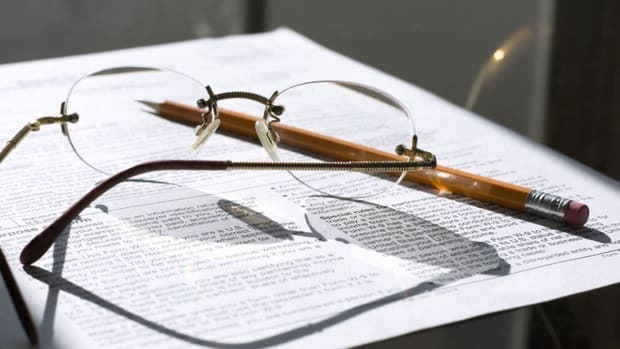 Hains proposed that the U.S. Coast Guard accept ABS and the British Maritime and Coastguard Agency (MCA) standards as assuring “equivalent compliance.” In the end, after considerable discussion, volumes of paperwork and months of review, the USCG agreed. Freedom was able to fly the U.S. flag from her stern. Sadly, though, Hains fears the Coast Guard’s never-ending personnel changes may have closed the approval path he opened. 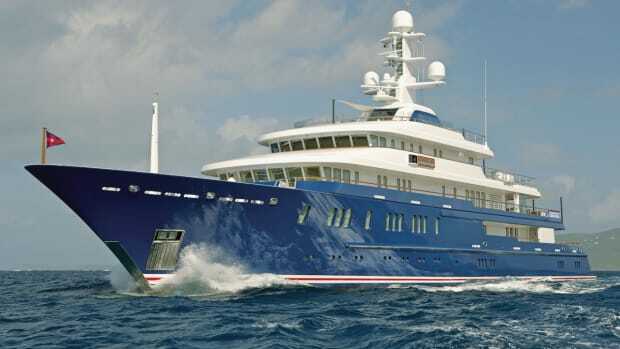 “Freedom established a precedent,” he says, “but not a streamlined procedure.” He says that getting a second yacht approved might prove just as difficult, if not more so. Once again, he would need to educate the regulators about the vessels they regulate, and then seek their approval of the equivalent standards. There’s no guarantee of success the second time around. Hains’ first choice, particularly with new construction but also with a major refit, would be to exploit every nuance in the rules to get the yacht’s register tonnage below 300 gross tons. Like the tax code, the maritime tonnage code offers myriad opportunities for exemptions and deductions in the hands of a skilled and knowledgeable practitioner. 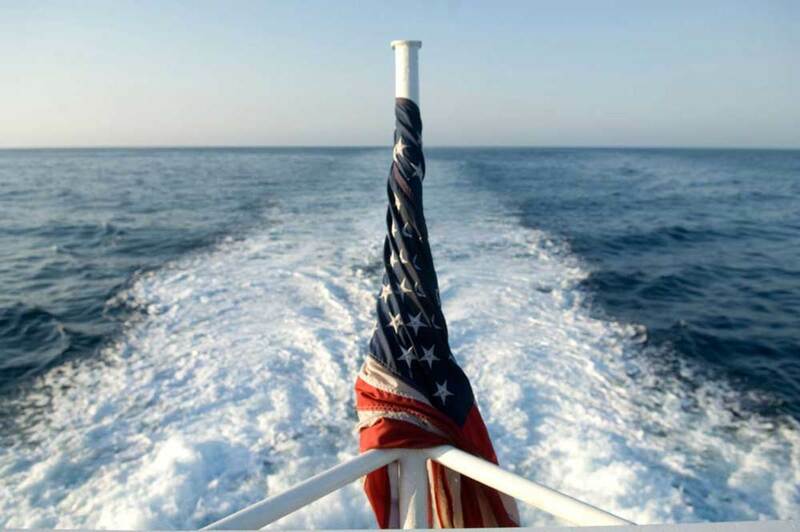 Thus, American owners have four options for flagging a large yacht: an Act of Congress, equivalent compliance, tonnage reduction or foreign flag of convenience. In terms of length, Hains says that up to 55 meters (180 feet) or so, careful implementation of tonnage reduction techniques is the easiest way to keep rated tonnage under the magical 300-gross-ton threshold. Beyond that point, he says—and I agree—that foreign flagging is the logical choice, if not the patriotic one. For that rare owner with the time, determination and resources to pursue U.S. flagging for his or her superyacht, Hains suggests that his route with Freedom might still be more economical than mine with Limitless, and he may be right. Engineers, as he rightly points out, can be considerably less expensive than Washington lawyers with the necessary lobbyist connections.